In 1994, Dutch journalist Marnix de Bruyne arrives in the tiny South African village of Soekmekaar with a simple question in his mind: what would people in the countryside expect from the near future? This was just before the historical elections that brought Nelson Mandela to power. 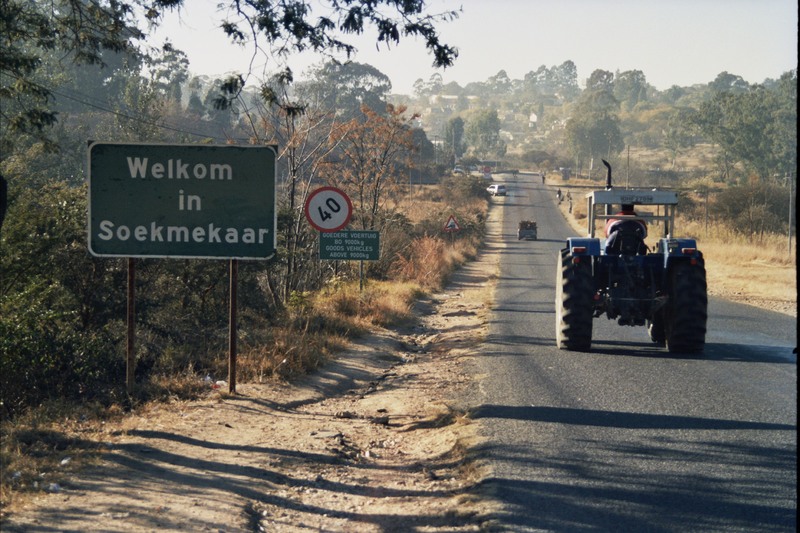 Soekmekaar – which means ‘Looking for each other’ in Afrikaans – was a village with a small conservative white community, near a township where black workers lived. 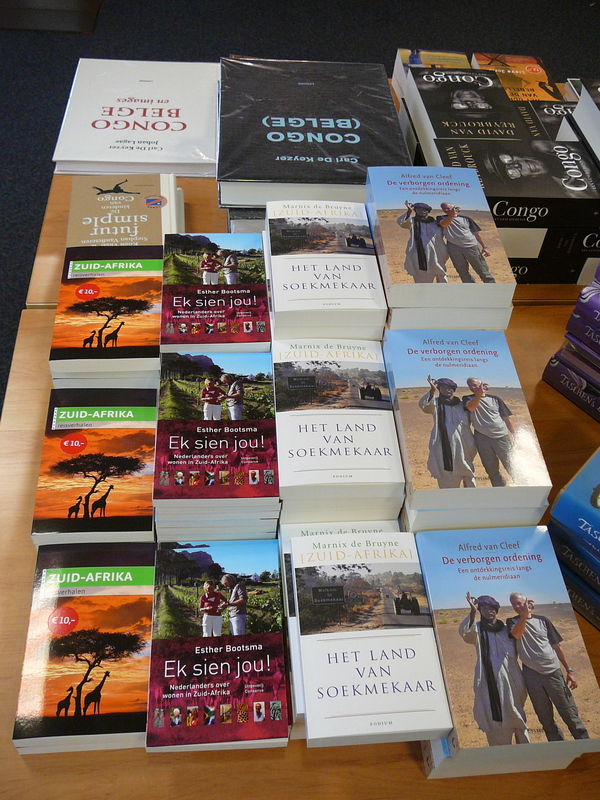 ‘Will black and white find each other in Soekmekaar, now that apartheid is over?’ De Bruyne asked himself, jokingly. The visit planted the seed for ‘The Land of Soekmekaar’ which De Bruyne, today Africa editor at the foreign desk of leading Dutch newspaper ‘de Volkskrant’, published in 2010. The book offers a unique insight in how inhabitants of a South African village experience the drastic changes in their land on a local level, based on close observation over a 15 year period. Writing with ‘as much sense of humor as sense of drama’, as one reviewer put it, De Bruyne portrays the villagers with integrity and respect, showing their experiences, fears and hopes. By telling their story, De Bruyne tells the story of the whole of South Africa – where it comes from, and where it is going. When De Bruyne arrives in Soekmekaar for the first time, he immediately realizes how deep the marks are that history has left here. De Bruyne meets white farmers, who consider themselves victims of the apartheid-regime. The ‘old’ government, they tell him, expropriated their land, in order to create the so-called black ‘homelands’, reserves for black South Africans. That thousands of blacks were removed from their land against their will, often to be taken to these homelands is a well known fact. But the fate of white farmers is new to De Bruyne. Then, De Bruyne talks to the first black businessmen to start a shop in the former white centre of Soekmekaar. The man tells him how white neighbours still refuse to shake his hand, only because of his colour. Later he discovers that this sympathetic, active entrepreneur used to be a policeman in the township of Soweto near Johannesburg. 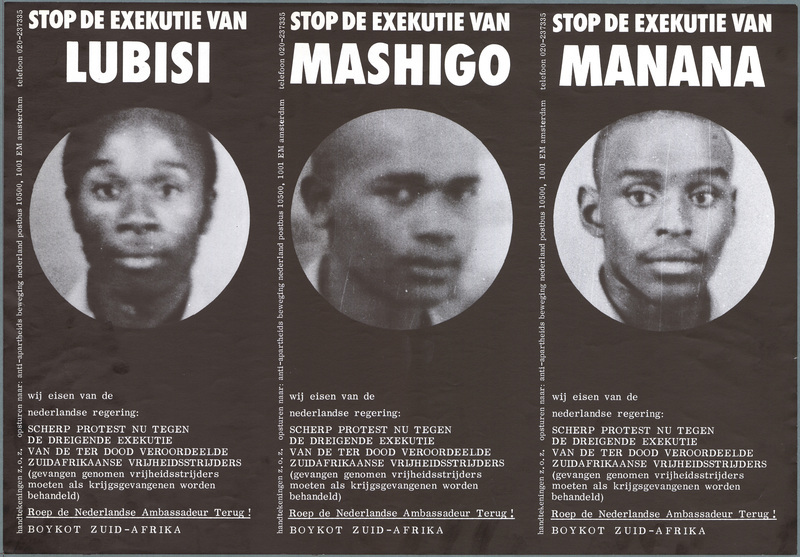 During the 1976 uprising of the youth in Soweto, he is there, working within the apartheid system, which would make him a collaborator in the eyes of many. Nothing is what it seems, De Bruyne realizes as he discovers that everything in the village, including its name, is connected to the fight over land. De Bruyne cannot forget Soekmekaar and the special people he meets there. Over a period of 15 years he comes back eight times. What he observes in the years after 1994 is nothing short of a revolution, albeit a silent one: large pieces of developed agricultural land are taken over from white farmers by groups of black farmers. Former owners decide to leave, after having received the market value for their land – and sometimes much more – from the government. 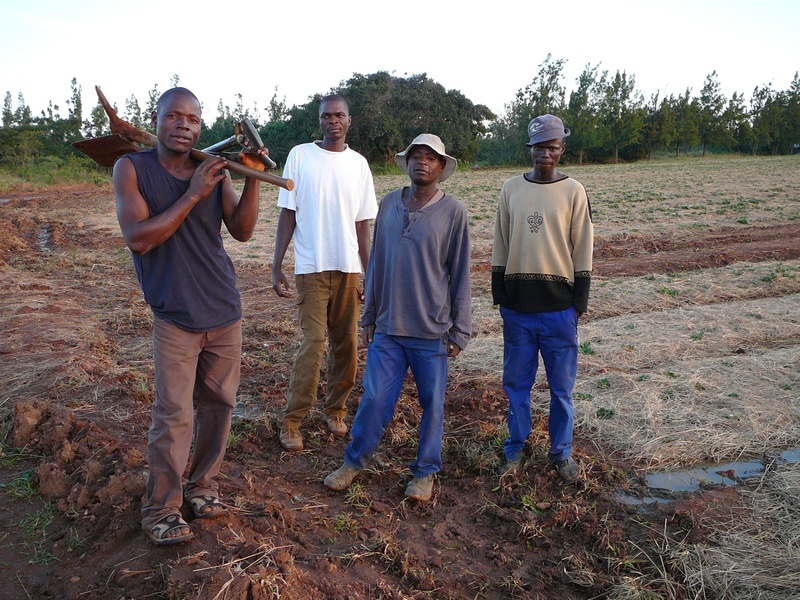 The land reform South-African style – gradually, without forced expropriation – often has the same results as the rushed, violent land reform in Zimbabwe, its northern neighbour. Because many of the new black farmers don’t have enough experience and knowledge to run complex commercial farms, orchards die, lands go to waste and debts start to pile up. In ‘The Land of Soekmekaar’ De Bruyne talks with all the individuals involved, from the white strawberry farmer, who wants to cooperate with the new farmers, to the black taxi-owner, who successfully claims back the land from the Soekmekaar farmers for his community, the Morebene-clan. The clan-members used to live on the lands around Soekmekaar, but were forcedly removed. De Bruyne does a lot more than exploring the promises and failures of Land reform. In and around Soekmekaar De Bruyne talks with self-proclaimed white racists and joins Afrikaner farmers, as they renew their yearly oath to God, to thank Him for the victory in 1838 during the Battle of Blood River. He eats dried mopane worms with his guide and friend Zacharia in the township of Soekmekaar, and dances the religious Mokhuku dance at night, with members of the black Zionist Christian Church. He also traces two of the four former freedom fighters, who attacked the police station of Soekmekaar in 1980 to protest against the forced removals of the time. They were arrested and initially sentenced to the gallows, which was later converted to life imprisonment. They spent years at Robben Island, the same prison which hosted Nelson Mandela. With De Bruyne they go back to Soekmekaar for the first time in 25 years and meet, much to their surprise, the policeman who had to duck for their bullets a quarter of a century earlier. By showing the way of life in Soekmekaar, De Bruyne takes stock of the mood of a nation. From optimism in the nineties, the mood turns to fear and disappointment at the beginning of the century, and to more realism in the recent years, and acceptance that one cannot change a country or a culture overnight. 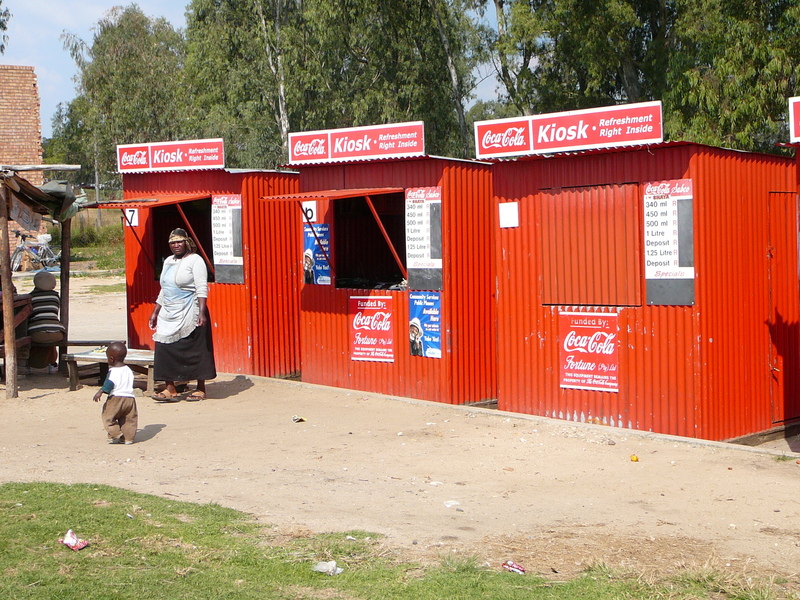 Black and white still live separate lives in 2010, De Bruyne observes, in Soekmekaar and in South Africa. They live next to each other but not with each other – but neither of them can live without the other. ‘The Land of Soekmekaar’ in the press. ‘Written with compassion’ ‘A joy to read’. Great work Marnix. I think you have made the effort to really get under the skin of this complex and emotional (for good reaon and rightfully so) issue. I am struck by your perseverance to have tracked this for so long, with the result that you really get the insights only insiders usually do. There are so many histories and characters that deserve to be recorded in the South Africa story. Thanks for adding to that richness. I wish I could read it all in Engels of Afrikaans, properly. Maybe you can find a publisher who’ll take it on …. I really hope so. I very much enjoyed reading your book! In a few weeks time it will be on my blog. Marnix it is I Donald Kagiso Kekana from South Africa, John Selamolela’s grandson. Great book by the way.Did you know that the former South African minister of Tourism Marthinus van Schalkwyk was born in Soekmekaar in 10 November 1959?